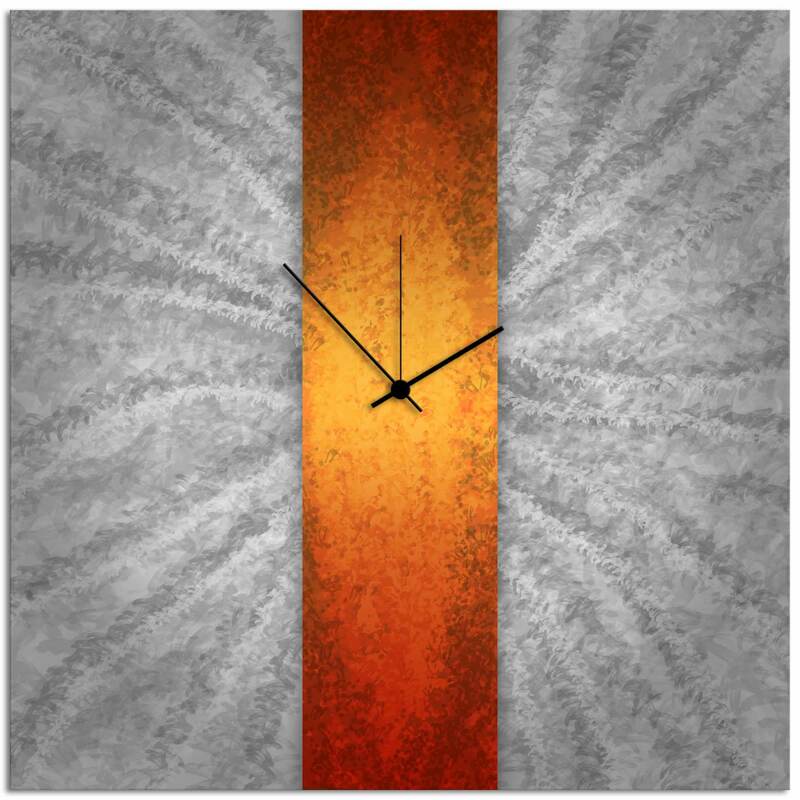 Orange Stripe Clock is a modern metallic design, fully functional clock. 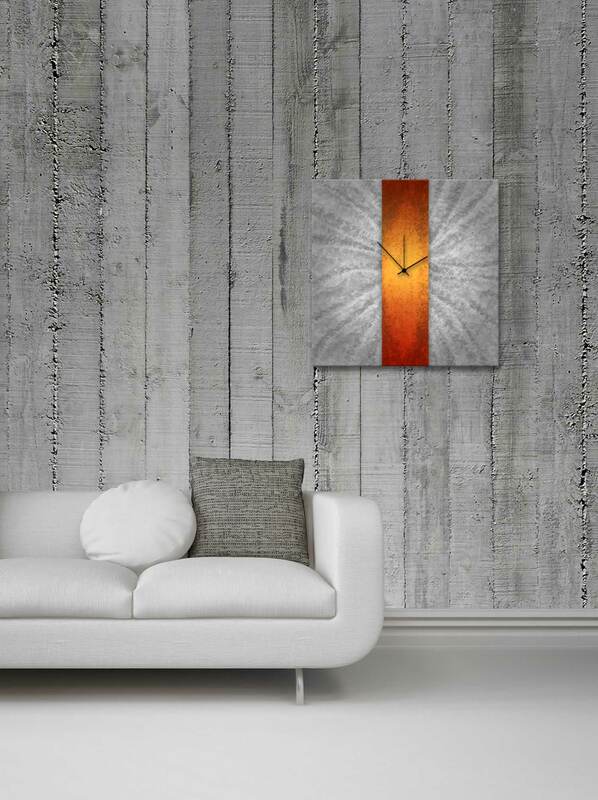 This orange metal art is made from a single sheet of metal expertly grinded and tinted and made in to a functional clock. It is mainly characterized by the bright orange stripe in the middle of the sheet of metal. The bright orange, reminiscent of the setting sun, gives this stunning piece a unique personality. Each stroke and grind pattern on this piece accentuates the beauty of the plain sheet of metal. The glimmer coming from the shallow grinds are like street lights illuminating the city in the night. Nevertheless, this is an eye-catching piece that also functions as a time keeper that would look nice in any modern space.